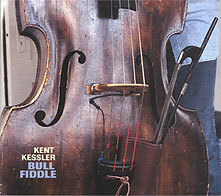 Kent Kessler, bass; Michael Zerang, dumbek (tracks 3, 7, 11). Recorded 6 June 2001 at Airwave Studios, Chicago. Cover photograph (reproduced above) by Joel Wanek; design by Louise Molnar.